Traxxas’ aluminum turnbuckles make it easy to add strength and adjustability to Rustler, Slash, and Stampede. These turnbuckles come in a fire-red or brilliant blue-anodized finish for stunning good looks. 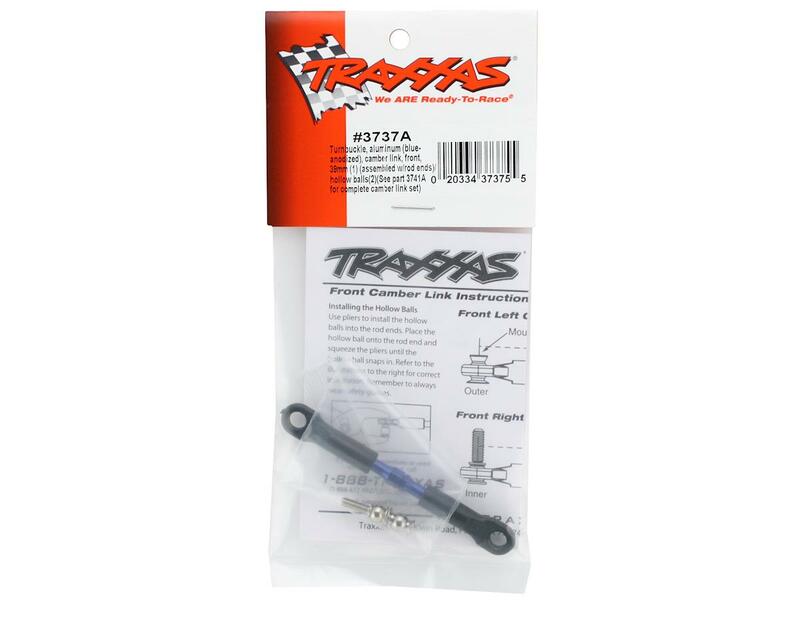 The camber kit includes a matching 5mm aluminum wrench that prevents marring the finish. 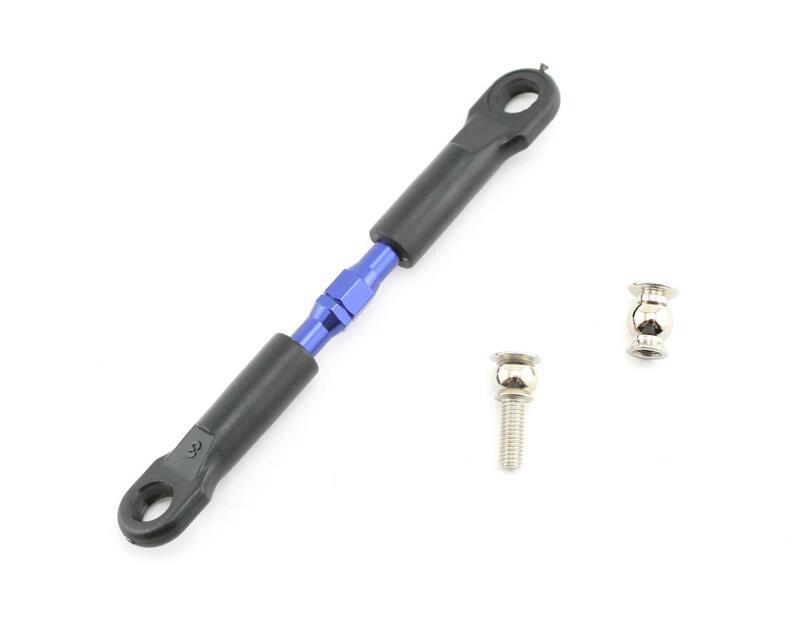 Traxxas aluminum toe links are lighter than the stock steel turnbuckles, and are 35% lighter than titanium. High-grade 7075-T6 aluminum ensures increased bending stiffness. Camber set fits both Rustler, Slash, and Stampede. Separate tie rod sets are available for each. All camber/tie rod sets and single replacements come assembled with rod ends & hollow balls.